OGSM stands for Objectives, Goals, Strategies and Measures. It is a methodology that helps you to solidify your dreams, ideas and plans to such an extent that you will be able to reach them. OGSM is a plan on 1 page that leads from vision to action. It connects ambitious goals to concrete activities. 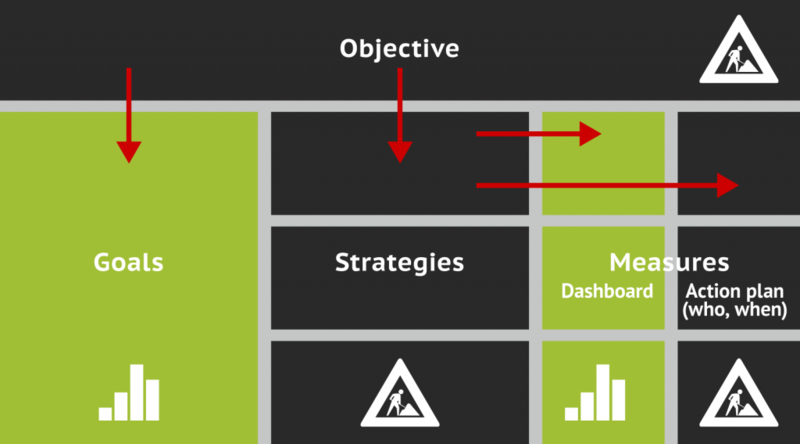 At a glance it is clear how various components relate to the objective and to each other. This makes it a powerful tool for guarding progress and focus. Are you inspired? Contact us or Order your copy of our book ‘The 1 page business strategy’.